"SENS Brings Neo-Lysenkoism to Longevity Research"
"Agenda-driven pseudoscience like SENS has a clearly stated goal, but wishful thinking and extrascientific considerations, such as political or fundraising power, are placed ahead of and are often incompatible with scientific evidence. Stay tuned for the response from Aubrey de Grey ! This fascinating and accessible book examines the survival of the human race from a broad range of viewpoints. Through in-depth examinations of a number of very distinct aspects of human life, the book covers topics ranging from the preservation of Empires, to the challenges of maintaining cultural identity, the sufferings inflicted by famine, disease and natural disasters, the opportunities for increased longevity and the threats presented by climate change. The chapters draw from the expertise of those in the arts and humanities, as well as the social, physical and biological sciences. Following in the footsteps of Charles Darwin with his thoughts of the Survival of the Fittest, each chapter explores strategies which may be adopted to assist us in our individual struggle for existence and to preserve and indeed improve our collective lifestyles. MicroRNAs (miRNAs) are RNA molecules, conserved by evolution, that regulate gene expressions and their recent discovery is revolutionising both basic biomedical research and drug discovery. Expression levels of MiRNAs have been found to vary between tissues and with developmental stages and hence evaluation of the global expression of miRNAs potentially provides opportunities to identify regulatory points for many different biological processes. This wide-ranging reference work, written by leading experts from both academia and industry, will be an invaluable resource for all those wishing to use miRNA techniques in their own research, from graduate students, post-docs and researchers in academia to those working in R&D in biotechnology and pharmaceutical companies who need to understand this emerging technology. From the discovery of miRNAs and their functions to their detection and role in disease biology, this volume uniquely integrates the basic science with industry application towards drug validation, diagnostic and therapeutic development. Krishnarao Appasani is the Founder and Chief Executive Officer of Gene Expression Systems, a gene discovery company, focusing on functional genomics in cancer research. He is the Editor of RNA Interference: From Basic Science to Drug Development (2005). The collection addresses theoretical and policy issues connecting age and generation with the family and social policy. It focuses both on cross-cultural comparison within societies and analysis based on a range of societies. The potential lipotoxic effect of accumulation of fatty acids in non-adipose tissues is thought to be a major component in the development of insulin resistance. Chronic exposure to high concentrations of free fatty acids in the blood affects pancreatic cell function, insulin secretion and lipid synthesis in the liver, and storage in adipose tissue. Maintaining the normal levels of fatty acids requires coordinated regulation between the liver, adipose tissue and skeletal muscle. This book deals with the molecular aspects of fatty acid action in obesity and insulin resistance. The topics include lipid metabolism and adipose tissue biology, and cell function and insulin resistance. Chapters deal with the molecular genetics and molecular physiology of energy homeostasis. Metabolic diseases such as obesity, diabetes and hypertension are among the most common chronic illnesses and major causes of morbidity worldwide. These diseases are due to alterations of basic metabolic pathways such as those for glucose and lipids, and they are extremely costly to treat. Because of their increasing prevalence they have attracted tremendous attention from the scientific community in recent years and significant advances have been made in our understanding of their molecular nature. -- The potential lipotoxic effect of accumulation of fatty acids in non-adipose issue is thought to be a major component in the development of insulin resistance. -- Chronic exposure to elevated free fatty acids affects pancreatic ß cell function, insulin secretion and lipid synthesis in the liver, and storage in adipose tissue. -- Maintaining the normal levels of fatty acids requires coordinated regulation between the liver, adipose tissue and skeletal muscle. This book presents an integrated approach to the problems of obesity and type 2 diabetes and carefully examines the role that fatty acids and lipids play in the development and progression of these diseases and in the transition from one to the other. Topics covered include lipid metabolism, adipose tissue biology, ß cell function and insulin resistance. Specific chapters also deal with the molecular genetics and molecular physiology of energy homeostasis. Fatty Acids and Lipotoxicity in Obesity and Diabetes will be of interest to anyone working on the causes of obesity and diabetes. First published in 1976, You and Your Aging Parent is a classic -- the first book to shed light on the challenging relationship between adult children and their aging parents, illuminating the emotional, health, and financial difficulties that elderly parents and their children face during the senior years. Marking the 30th anniversary of this highly popular book, the new and revised edition addresses the changes that have taken place in the last three decades, but it still embraces the authors' fundamental insight -- that the difficulties and challenges of the aging process are as much a family affair as in any other phase of life. Both a sensitive exploration of the dynamics of the aging family relationship (between parent and child, and sibling and sibling) and an authoritative how-to guide for seniors and their families navigating the practical problems of growing old in America, You and Your Aging Parent has been thoroughly updated to reflect the latest research findings and changes affecting older adults, including in health care and social services. The book also includes a running commentary by Bob Morris -- playwright, author, and humorist -- who provides insightful and entertaining observations about his trials and tribulations with his own parents as they aged, serving as a contemporary voice for the middle-aged caregiver of today. As the first of the baby boom generation turns 60 and their increasingly frail parents approach late retirement and final decline, this new and updated edition of You and Your Aging Parent will answer their need for authoritative, practical information about this major phase of life. Barbara Silverstone, DSW, is past president of the Gerontological Society of America and a member of the American Society on Aging and the National Association of Social Workers. A former President and CEO of Lighthouse International, she was co-editor-in-chief of The Lighthouse Handbook on Vision Impairment and Vision Rehabilitation (OUP, 2000) and co-author (also with Helen Kandel Hyman) of Growing Old Together. She lives in New York City. Helen Kandel Hyman was a free-lance writer whose career dates back to the Golden Age of radio, when she wrote dramatic scripts for CBS. She died in March 2006. Bob Morris is a columnist for the Sunday New York Times and often writes about issues of aging in his column. He is also the author of the play Assisted Loving, about his now-deceased father. This collection offers a fascinating comparative analysis of two very different approaches to social policy on ageing. By analyzing the different foundations and systems established by Beveridge in Britain and Bismarck in Germany this book provides a well-constructed and truly comparative perspective on a range of key issues. Each chapter is co-authored by a leading German and a British figure in the field allowing for a unique insight into the differing policies. 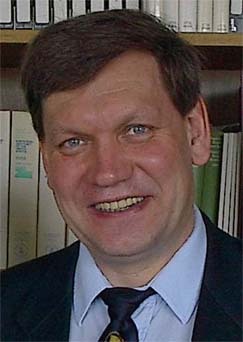 GERHARD NAEGELE is Professor of Sociology, Dortmund University, Gemany. ALAN WALKER is Professor of Social Policy and Director of ESRC Growing Older Programme, Sheffield University. The fifth edition of Adult Development and Aging offers professors and students a clear, comprehensive and current account of the salient issues and concerns that dominate the field of Adult Development. After reading this text, students will have a keen understanding of where adult development and aging has been in the past, where it is right now, and where it will be headed in the future. In Adult Development and Aging, 5e authors William Hoyer and Paul Roodin combine their expertise in teaching and research to provide clear explanations of the awesome, complex unfolding of development during the adult years. The text presents findings derived from theories and ideas about understanding adulthood and aging in an interdisciplinary, process oriented perspective. Material is organized in terms of the biological, social and cultural contexts in which change occurs during the adult years. Information is presented in the context of young adults growing older in today’s world, informed by research and theory. Evolution in Health and Disease describes how evolutionary thinking gives valuable insights and fresh perspectives into human health and disease, establishing evolutionary biology as an essential complementary science for medicine. Integrating evolutionary thought into medical research and practice helps to explain the origins of many medical conditions, including diabetes, obesity, cardiovascular disease, asthma, allergies, other autoimmune diseases, and aging. It also provides life-saving insights into the evolutionary responses of pathogens to antibiotics, vaccinations, and other human interventions. Why do we grow old? How can we stay healthy as we age? The book discusses these and many other fascinating questions, as well as suggesting exciting possibilities for future treatment and research. This research level text is suitable for graduate level students and researchers in the fields of evolutionary (Darwinian) medicine, evolutionary biology, anthropology, developmental biology and genetics. It will also be of relevance and use to medical researchers and doctors. "The evolutionary context of human aging and degenerative disease"
-- Is Alzheimer's a disease? -- What is the difference between a naturally aging brain and an Alzheimer's brain? -- How effective are the current drugs for AD? Are they worth the money we spend on them? -- What kind of hope does science really have for the treatment of memory loss? And are there alternative interventions that can keep our aging bodies and minds sharp? -- What promise does genomic research actually hold? -- What would a world without Alzheimer's look like, and how do we as individuals and as human communities get there? Backed up by research, full of practical advice and information, and infused with hope, THE MYTH OF ALZHEIMER'S will liberate us from this crippling label, teach us how to best approach memory loss, and explain how to stave off some of the normal effects of aging. Peter J. Whitehouse, M.D., Ph.D., one of the best known Alzheimer's experts in the world, specializes in neurology with an interest in geriatrics and cognitive science and a focus on dementia. He is the founder of the University Alzheimer Center (now the University Memory and Aging Center) at University Hospitals Case Medical Center and Case Western Reserve University where he has held professorships in the neurology, neuroscience, psychiatry, psychology, organizational behavior, bioethics, cognitive science, nursing, and history. He is also currently a practicing geriatric neurologist. With his wife, Catherine, he founded The Intergenerational School, an award winning, internationally recognized public school committed to enhancing lifelong cognitive vitality. Daniel George, MSc, is a research collaborator with Dr. Whitehouse at Case Western Reserve University in Cleveland, Ohio, and is currently pursuing a Doctorate in Medical Anthropology at Oxford University in England. 'I don't have a magic bullet to prevent your brain from getting older, and so I don't claim to have the cure for AD; but I do offer a powerful therapy - a new narrative for approaching brain aging that undercuts the destructive myth we tell today. Most of our knowledge and our thinking is organized in story form, and thus stories offer us the chief means of making sense of the present, looking into the future, and planning and creating our lives. New approaches to brain aging require new stories that can move us beyond the myth of Alzheimer's disease and towards improved quality of life for all aging persons in our society.It is in this book that your new story can begin.' - Peter Whitehouse, M.D., Ph.D.
Post them below by clicking here! More Than 3 Million American Medical Association Books Sold. American's most trusted medical authority shows you how to prevent and treat heart disease. When you or someone you love is diagnosed with cardiovascular disease, it's important to know the facts, which can help save a life. In the American Medical Association Guide to Preventing and Treating Heart Disease, you will learn everything you need to know about heart disease to ensure a long, full, and active life. Authoritative and up to date, the American Medical Association Guide to Preventing and Treating Heart Disease explains the most common forms of heart and blood vessel disease and lays out practical strategies to get you on the road to better health. The book also provides up-to-date information on women and their unique heart disease risks and symptoms as well as information on hart6-healthy eating, including the National Heart, Lung, and Blood Institute's DASH diet. Even if heart disease runs in your family, you can still lower your risk of developing it by following the simple guidelines found in this comprehensive resource. For every 3 pounds you lose, there is a corresponding drop of about 2mm Hg in your diastolic pressure, and by bringing down your blood pressure to healthy levels, your risk of stroke can be reduced by 35 to 50 percent. If you have already had a heart attack or a stroke, this book offers vital practical information on preventing another one. Highlighting prevention, lifestyle changes, testing, and treatments, the American Medical Association Guide to Preventing and Treating Heart Disease provides you and your loved ones with the essential tools you need to reclaim a healthier life. Heart disease is the leading cause of death and a major cause of disability in both men and women in the United States today. The good news is that with knowledge and practical lifestyle changes, heart disease is both treatable and preventable. In the American Medical Association Guide to Preventing and Treating Heart Disease, you'll learn everything you need to know to lessen your risk of cardiovascular disease, take control of it if you have it, or help a loved one. Heart and blood vessel disease takes many forms, including high blood pressure, coronary artery disease, vascular heart disease, congestive heart failure, arrhythmias, and stroke. Drawing on the most authoritative information and the most up-to-date research, the American Medical Association Gide to Preventing and Treating Heart Disease helps pinpoint your major risk factors and shows you how to deal with them. In this comprehensive guide, you'll learn everything you need to know about your heart and how it functions, about why it is so important to quit smoking, and about heart-conscious ways to exercise. You'll also learn the critical warning signs you should tell your doctor about right away, and how heart disease manifests itself differently in women and men. The AMERICAN MEDICAL ASSOCIATION is the leading professional association of physicians in the United States and has been one of the most respected health-related organizations in the world for more than 150 years. MARLA MENDELSON, MD, a cardiologist, is Assistant Professor of Medicine and Pediatrics at the Northwestern Feinberg School of Medicine in Chicago. STEPHEN HAVAS, MD, MPH, is Vice President of Science, Quality, Public Health, and Medical Education at the American Medical Association. MICHAEL MILLER, MD, is Associate Professor of Medicine and Director, Center for Preventive Cardiology, University of Maryland School of Medicine. MUST WE AGE? A long life in a healthy, vigorous, youthful body has always been one of humanity's greatest dreams. Recent progress in genetic manipulations and calorie-restricted diets in laboratory animals hold forth the promise that someday science will enable us to exert total control over our own biological aging. Nearly all scientists who study the biology of aging agree that we will someday be able to substantially slow down the aging process, extending our productive, youthful lives. Dr. Aubrey de Grey is perhaps the most bullish of all such researchers. As has been reported in media outlets ranging from 60 Minutes to The New York Times, Dr. de Grey believes that the key biomedical technology required to eliminate aging-derived debilitation and death entirely-technology that would not only slow but periodically reverse age-related physiological decay, leaving us biologically young into an indefinite future-is now within reach. In Ending Aging, Dr. de Grey and his research assistant Michael Rae describe the details of this biotechnology. They explain that the aging of the human body, just like the aging of man-made machines, results from an accumulation of various types of damage. As with man-made machines, this damage can periodically be repaired, leading to indefinite extension of the machine's fully functional lifetime, just as is routinely done with classic cars. We already know what types of damage accumulate in the human body, and we are moving rapidly toward the comprehensive development of technologies to remove that damage. By demystifying aging and its postponement for the nonspecialist reader, de Grey and Rae systematically dismantle the fatalist presumption that aging will forever defeat the efforts of medical science. - The most realistic way to combat aging is to rejuvenate the body at the molecular and cellular level, removing accumulated damage and restoring us to a biologically younger state. - Comprehensive rejuvenation therapies can feasibly postpone age-related frailty and disease indefinitely, greatly extending our lives while eliminating, rather than lengthening, the period of late-life frailty and debilitation. - A comprehensive panel of rejuvenation therapies could probably be validated in laboratory mice within a decade. We would then have a good chance of developing it for human use only a decade or two thereafter. - Removing the causes of aging-related deaths will also eliminate all the suffering that aging inflicts on most people in the last years of their lives. - Aging kills 100,000 people a day: old people, yes, but old people are people too. Social concerns about the effects of defeating aging are legitimate but don’t outweigh the merits of saving so many lives and alleviating so much suffering. Nineteen scientists, doctors and philosophers share their perspective on what is arguably the most significant scientific development that humanity has ever faced - the eradication of aging and mortality. This anthology is both a gentle introduction to the multitude of cutting-edge scientific developments, and a thoughtful, multidisciplinary discussion of the ethics, politics and philosophy behind the scientific conquest of aging. Walk into the local health food shop or pick up today's paper and the chances are that you'll see adverts for acupuncture and herbal medicine, hypnotists and homeopaths. Some doctors and scientists mourn the lost lustre of mainstream medicine and complain about a new breed of 'irrational' consumer. But what exactly is 'alternative' medicine? Is the astonishing popularity of alternative and multicultural medicine really such a recent development? And, given the success story of modern biomedical science, why are alternative and traditional treatments now so fashionable? Has the impersonal chill of high-tech medicine driven consumers into the arms of charismatic quacks? Or is it the cost of western medicine that makes its competitors look so attractive? Do patients seek hope, holism, or just the thrill of rebellion? Oxidation: The Cornerstone of Carcinogenesis. Oxidation and tobacco smoke carcinogenesis. In order to learn oncology, it is necessary to acquire a comprehensive knowledge of molecular biology in carcinogenesis, and then, with this as a background, to consider the principles of the theoretical and clinical basis of the subject. For graduate students who are preparing themselves for the specialty of internal medicine or clinical oncology, and physicians who wish to become proficient in oncology, it is exceedingly difficult to be highly skilled and completely informed in this expanding field of science without a comprehensive text on the subject. This book is unique, due to its collective approach to the key aspects of the interdependency between three entities: oxidative stress, tobacco smoke and carcinogenesis, operating in a cause-effect sequence, in a concise and to the point manner. I hope this book will prove to be a helpful companion to the internist, the oncologist and the research scientist in molecular biology as well as a work of reference for the general practitioner and physician interested in cancer research. John C. Stavridis is a medical doctor who studied Medicine at the Military Medical School of Thessaloniki, Greece. He specialized in Internal Medicine at the Evangelismos Medical Centre, Athens, and received his MD and Professorship from the University of Athens Medical School. Following a postdoctoral position as a senior research fellow and registrar at postgraduate Medical School, London University, Hammersmith Hospital, Department of Clinical Hematology, he joined the Hematology Unit at St. Sabbas Anticancer Hospital, Athens, as director. He taught Physiology from 1991-1999 as a head of the Department of Physiology and full professor at the University of Athens Medical School. Since 1999, Prof. Stavridis has been President of the Institute of Biomedical Research and Biotechnology, Athens. Human immunosenescence contributes to morbidity and mortality in later life. The age-associated increasing incidence of cancer and cardiovascular disease plateaus at around 80 years of age in industrialised countries, but death due to infectious disease continues to increase up to 100 years of age and beyond. Understanding the reasons for age-associated alterations to protective immunity in the elderly would facilitate the development of interventions to reconstitute appropriate immune function, increase responsiveness to vaccination and extend healthspan. The majority of the papers collected in this volume therefore address not only the mechanisms responsible for immune ageing in humans but consider what might be accomplished to redress the erosion of immune competence with age. The first problem facing the gerontologist investigating human ageing is their longevity: most studies are conducted in a cross-sectional manner, in which parameters of interest in elderly cohorts are compared to young controls. However, the ageing trajectories of people now 80 years old, born at the beginning of the 20th century, will have been very different in mostly unidentifiable ways from those born towards the end of that century. These differences include population genetics, nutrition, stress, disease, and of course, medical treatment, all of which make these two populations hardly comparable. The decision making process that underlies ovarian hormone therapy (HT) is fallible. The question is whether or not physicians should suggest; should one take estrogen or progestin or some other combination of related hormones to women during the menopausal period, when women are deciding about whether to go on hormone therapy for diverse reasons. This decision affects many women in this country and around the world, and is an important factor serving to show what forces influence medical decision-making. Two recent large-scale studies, one here (Womens Health Initiative or WHI) and the other in Great Britain, cast a negative light on the use of hormone therapy. Both have received considerable attention in the media. Thus, the decision for women to go on hormone therapy (HT) remains controversial. There is an historical oscillation of beliefs related in part to expectations of the medicinal value of HT over longer-term use beyond the initial peri-menopausal period. Studies thought to resolve issues surrounding the efficacy of HT were perhaps over-stated. Confusion still permeates the decision making with regard to HT. Over zealous advertising, and exaggerated understanding of the results (negative or positive) undermines patient and physician decision making.